Weight loss tea come in a plethora of varieties and flavors which can help slim you down. These beverages are also healthy, hydrating, easy on the budget and simple to make. What exactly are diet teas anyway? 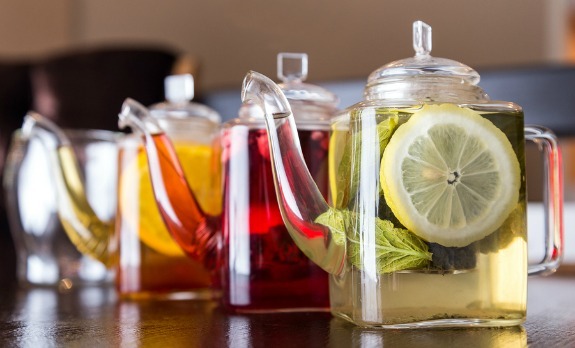 Simply these are beverages made from tea that help you lose weight. Want some great news? All teas are fantastic for weight loss as long as they are enjoyed in their natural state and not loaded with any high calorie sweeteners. This weight loss beverage is just such an easy fix that I'm surprised more people don't sip on a cup more often to fill up their tummies without adding extra calories. After all this drink is simply a cup of infused water and that's why it works so well with weight loss. Do some types help you lose weight better than others? Yes and each one of them offer different flavors and health benefits. Since there are a plethora of teas to choose from that all help with weight loss the biggest challenge is knowing which ones work best, the benefits they provide and the best times to drink them. That's why we've taken the time to break the types of teas into categories making it easier for you to decide which teas suit your life style the best. The biggest reason they work is because you are basically drinking water, sure the tea bag (or leaves) will add flavor and certain health benefits depending on which tea you choose but the main ingredient is simply water. Water is amazing when it comes to weight loss as it hydrates us, helps carry nutrients and detoxifies the body. It also helps increase metabolism and contains no calories making this beverage a great choice to help shed those pounds. I love the fact that diet teas are budget friendly. What a great drink when it comes to the old pocket book. If you keep your eyes peeled you can find a variety of quality teas that are reasonably priced that offer many flavors and benefits. It's so simple too, just add boiling water, let steep and then enjoy. Adding a little freshly squeezed lemon juice in your weight loss tea not only adds more flavor but also adds the benefits of lemons too, such as vitamin c and antioxidants. If you really need to have a sweeter drink but are watching your calories than use a no calorie sweetener of your choice. If calories are of no concern than use a little honey to enjoy that healthy cup of tea. Best times to drink a cup of tea for weight loss is when you're hungry or before a meal to help minimize the amount of food we eat during a meal. Not into drinking hot beverages? No worries, all of these drinks can be cooled and served with ice. 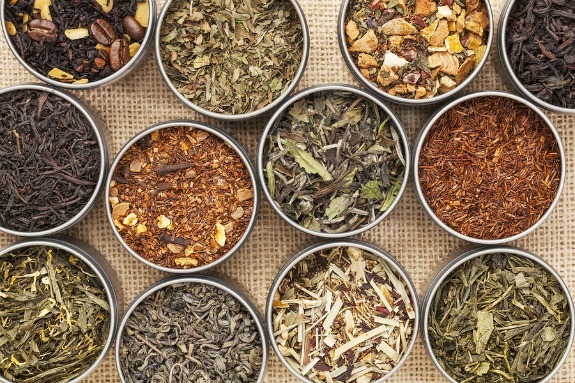 Which teas are considered the best for weight loss? As we know any way to help detox the body will definitely improve liver function which will help us with our weight loss challenges, that is why detox teas have become so popular. Teas such as the Green, Black, Oolong and White varieties that contain antioxidants such as flavonoids, polyphenols and EGCG (Epigallocatechin gallate). One of the best teas for weight loss is Matcha Green Tea which offer high levels of antioxidants. These powerful antioxidants are what give it the ability to help in so many levels of fat oxidation and thermogenesis (a process within the body which helps increase metabolism and burns fat as fuel). Do detox teas contain caffeine? Yes they do, all the diet teas mentioned above contain caffeine. On a caffeine free diet? Then go with a caffeine free herbal tea. There are a ton of herbal teas to choose from each offering a specific benefit. So choose a weight loss tea that you like and take a little time out to enjoy a cup.